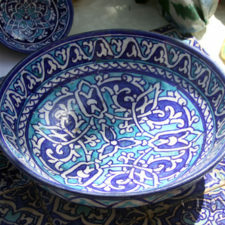 For several centuries, the pottery craft of Central Asia has been highly valued all over the world. Сlay was used for everything they needed. For example different kinds of utensils. Afterwards, of course, it was supplemented with glaze, various paints and ornaments. 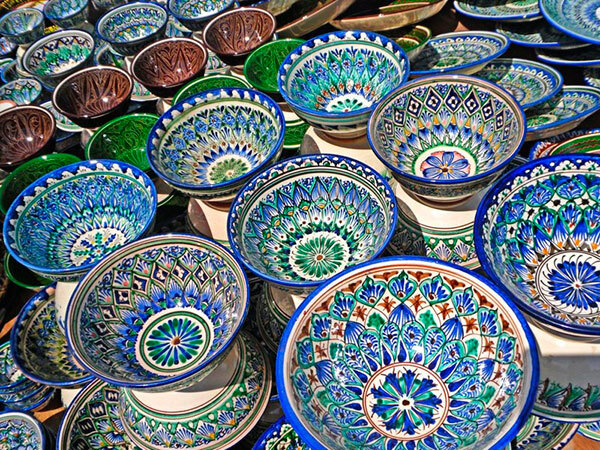 Traditional centers of this craft in Uzbekistan are Rishtan, Bukhara and Samarkand. If you want to plunge into the world of oriental ceramics while traveling to Uzbekistan, you will certainly have to visit Rishtan. Rishtan is a small town in the Fergana Valley, between Fergana and Kokand. 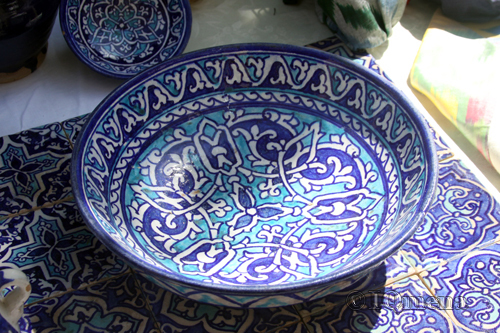 A unique feature of Rishtan ceramics is considered its bright blue glaze called “ishkor”. It is obtained from the ashes of plants. 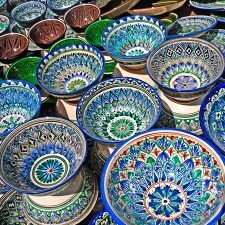 In addition, while traveling along the cities of Uzbekistan, you will certainly meet a variety of types of ceramics collected from different parts of the country.